of intelligent sprayer technology on the efficacy of pest management in apples and grapes. results in airborne drift, and the exposure of workers and the environment to drifting contaminants. increase the efficiency and sustainability of pest management in fruit production. Desired qualifications: Bachelor’s degree in biology, plant pathology, entomology or a related discipline. are encouraged to apply. Experience driving tractors is desired but not required. requirements and procedures, visit plantpath.osu.edu/gradapply. 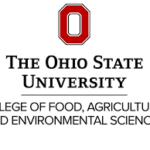 To apply for this job please visit plantpath.osu.edu.